I’ve always had the fantasy of being locked after hours in Disneyland. I imagined that all of the pirates and ghosts would come to life and we would have a grand old time. When I read first read “Horton hears a Who!” by Dr. Suess, I checked every dust speck and was careful where I stepped. I knew that there must be millions of little people living beneath my feet. I did not want to destroy whole cities. These fantasies of mine have never left but I did find a more “adult” way to express them recently. 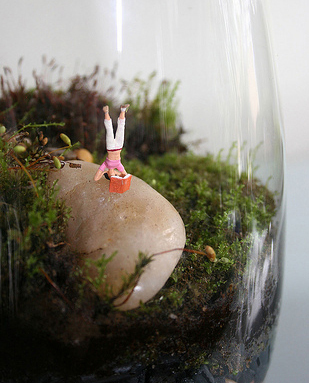 This summer I will be building Terrariums with my kids. It is a great summer project and fun for everyone. 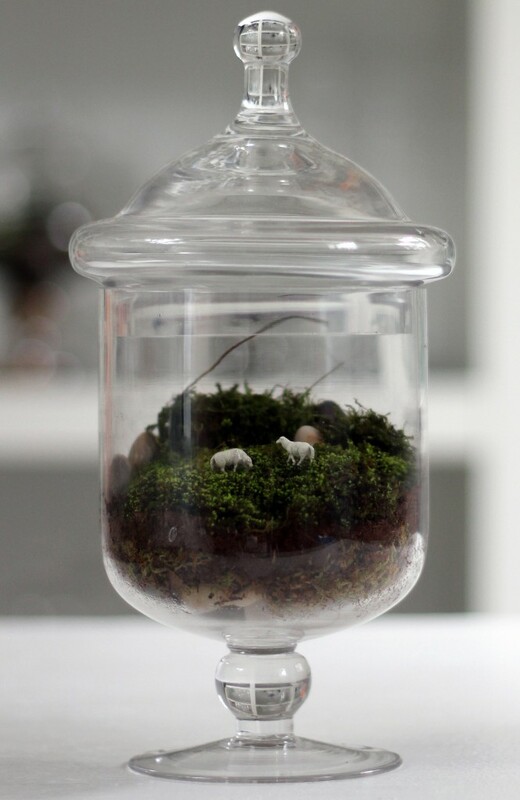 I was enchanted with the terrariums on twigterrariums.com. Making a terrarium is pretty easy and you probably already have most of supplies needed. Start by putting a small amount of moss in the bottom of the container, than add your rocks. Next add a 1/4″ of charcoal and then soil. You can add small plants or air plants or just moss to your terrarium. Tweezers come in handy or if you need something longer you can fashion tweezers out of a metal hanger. Once you have your base you can get creative. You can shop in the dollhouse section of most craft stores for fun little additions. 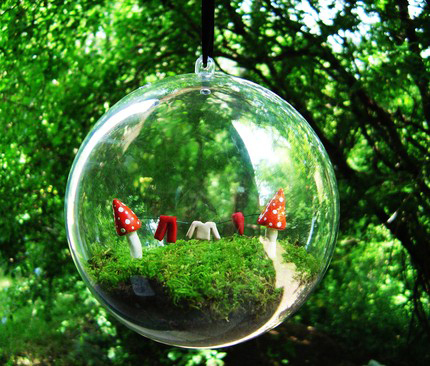 You can even use old salt and pepper shakers or make a necklace size terrarium, the possibilities are endless. And you will never have to worry about stepping on any innocent miniature cities again!